Leading scientists have explained that the universe began as a singular event, which then unfurled over the next 13.8 billion years to form the universe we know today. 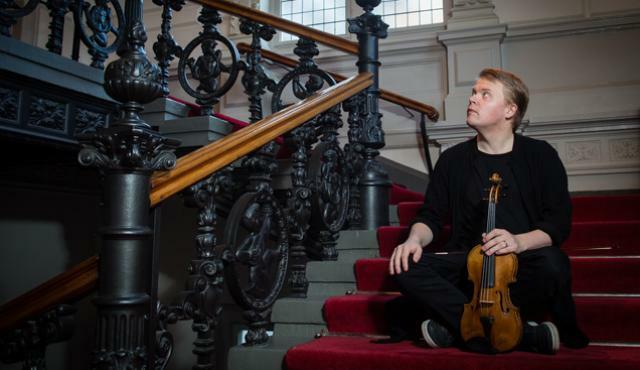 The MCO’s Big Bang is a singular concert at the 2018 Audi Sommerkonzert Festival in Ingolstadt, which launches an artistic partnership with Finnish violinist and “one-of-a-kind” musician Pekka Kuusisto. His work with the orchestra will continue to expand over the next seasons, and the Mahler Chamber Orchestra is happy to form a musical “universe” with this inspiring artist. Pekka Kuusisto is the Featured Artist for the 2018 open-air Audi Sommerkonzerte. The festival is dedicated to the concept of democratically run music ensembles and works to bring artists together so that they may share inspired, energetic music programmes and performances. These are ideals which speak very much to the MCO philosophy. Audi offers the open-air summer concerts with free entry, as the goal here is to have as many people as possible experience this great music. The programme for this concert will feature favourite repertoire mixed with Finnish surprises chosen by Pekka Kuusisto.